Focus On The Rainbow . . . Celebrate and honor the goodness that surrounds you. 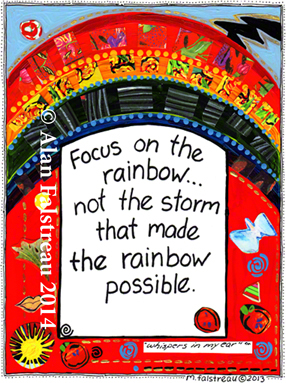 Focus on the Rainbow . . . the vibrancy of Life and the Infinite Possibilities . . . for now and forever more. My Wish For 2016 . . .
Breathe and Receive During This New Year . . .